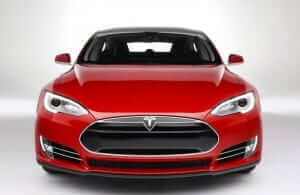 According to the Tesla Motors – 3rd Quarter 2015 Shareholder Letter, the company’s new and most affordable vehicle to date, the Model 3, will be unveiled on schedule in March 2016. With the company continuing to grow and stores popping up in places like China, Canada, and across Europe, the news about the Model 3 is pretty exciting. The price point is yet to be confirmed, but the projected cost in the US market is about $30,000-$35,000. With the more expensive but more versatile Model X on the way, the 3 may be the best way to get the more “average” driver to cruise in an electric vehicle. Tesla does point out that it’s well aware of a hurdle they have to continue to jump over, the market and drivers around the world accepting the new models and using them in everyday life. Tesla’s future success depends on its ability to design and achieve market acceptance of Model S and its variants, as well as new vehicle models, specifically Model X and Model 3. Tesla Motors continues to tap into the market with vehicles like the X, which will be the first ever electric vehicle with the ability to tow. Outside of that, their Model S continues to impress in sales as the number increased by 50% in 2015 alone. Does the prospect of a cheaper EV interest you? Would a lower price tag get you to consider an electric vehicle in your driveway?